When it comes to the best way to sell your property, you’ll discover that lots of people have an opinion – your neighbour, your work colleagues, your friends and your relatives. We’d love to hear your opinion and we’re happy to give you ours. We understand the local industry and have a proven track record for turning sales campaigns into genuine sales. With the help of an experienced agent who can discuss your specific needs and concerns, we can advise you on the most appropriate method of sale and create an individually-tailored marketing strategy designed to achieve the maximum result. Sale by auction is still one of the most popular selling methods in Victoria – and at Rodney Morley Real Estate, we have a strong track record in successful auctions. The auction campaign effectively removes the ceiling price created by a private sale and avoids the risk of underselling. A “cooling off” period of 3 business days is applicable to all private sales from 1st March, 2012. The only exception is the auction process. At the point of sale the purchaser is obliged to accept your terms and conditions and to enter into an unconditional contract, effective immediately. There is no “cooling off” period during which a decision can be withdrawn. 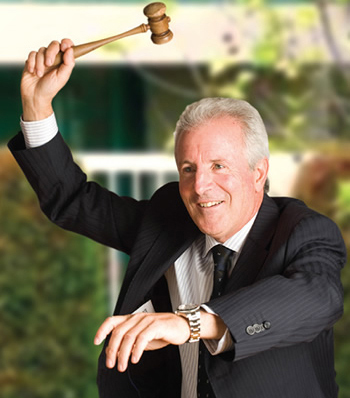 The auction process develops and encourages competition between prospective purchasers both prior to, and at auction. It enables you to maintain greater control over the negotiation process without necessarily disclosing the true position or reserve price to purchasers. An auction campaign sets a date on which buyers must make a decision or face missing the home, therefore eliminating procrastination. The public competition generated by an auction often significantly raises the price received for a property compared to that of a private sale. Of course in real terms the property is available for immediate Private Sale and offers are always encouraged from the start. Whether to take an offer or continue to auction depends on the level of buyer inquiry and where that offer is in relation to our combined assessment. A two phase approach (eight to ten week campaign) can also be used, where for the first three to four weeks we contact known buyers from our database, only proceeding to auction if a sale is not made. Using our list of known buyers and database we conduct a completely “off market” campaign, matching a buyer and seller. For every confidential seller there is a confidential buyer. This method can be extremely successful, especially for high value properties. Vendors who prefer a longer time-frame and the additional opportunity to negotiate with potential buyers are often drawn to private sale. Typically, there is an advertised price set for the property. This method offers potential buyers more flexibility than the auction system but can create a lack of urgency. The marketing budget is still important. Without it, there is a risk of making buyer response times too slow and having prospective purchasers ask if anything is wrong with the property. This is a form of private sale and requires interested buyers to submit offers in writing prior to, or on, a set date. What sets it apart from private sale is the fixed date by which the sale must be completed, but it is a method without the competitive bids and pressure of auctions. Potential buyers who have submitted an offer below the reserve price are advised of this and can then reconsider their original offer. This method can provide flexibility to both buyer and seller with regards to terms and conditions. Under this selling system, a fixed date is offered, along with an invitation to interested parties to submit bids. Typically, a phrase “offers over a certain price will be considered” are used as guidance to assist prospective buyers. Buyers must then submit their best price and terms, in writing, for consideration. An alternative is a tender process, requiring formal documentation to be completed by a due date. With the right group of buyers bidding, options such as a higher price in exchange for changes to terms of sale, or a longer settlement period or a smaller deposit can provide an excellent result.